The Extremely Large Telescope (ELT) will be the largest optical and infra-red telescope ever built. Scientists and engineers from all over Europe are working on plans for a telescope with a mirror that is over 39 metres in diameter. The area of this mirror is larger than the combined reflecting area of all the major research telescopes currently in existence. This increased area will allow us to study objects to much larger distances in the Universe (e.g. 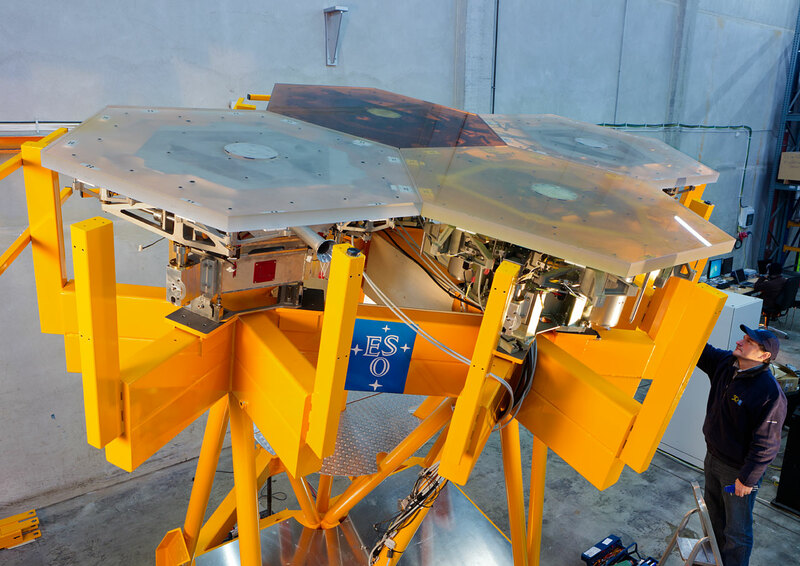 to detect the light from the first galaxies that formed in the Universe) while also allowing us to study celestial objects with unrivalled spatial resolution (e.g. to directly image extra-solar planets). The picture bottom left shows a rendition of the ELT and its enclosing structure or dome. Here, it is shown with respect to the London Eye and the small dots on the ground next to the telescope are cars. You can see the overall structure will be huge – it will be about the same size as a football stadium! 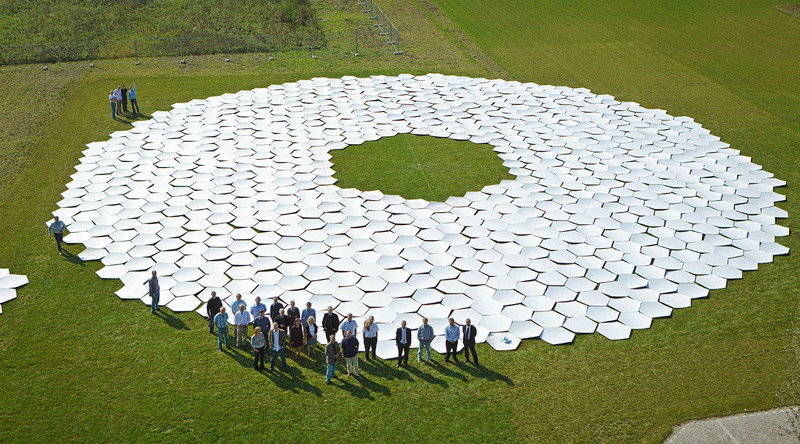 The 39-metre primary mirror of the ELT will consist of almost 800 hexagonal segments, each 1.4 metres wide, and only 50 mm thick.